Since being granted full university status in 1992, Middlesbrough is today home to over 28,000 full time students. One the North East's leading industrial centres, Middlesbrough has seen rapid growth over the past centuries and is today one of the UK's largest ports handling over 50 million tonnes of cargo every year. Located on the banks of the River Tees in the North East of England, the coastal town of Middlesbrough is now home to one of the regions largest student populations, with over 28,000 full time students now studying at Teeside University. A largely industrial town, Middlesbrough has experienced considerable growth over the past 200 years, primarily focused around the large docks for which the town is so well known. From the 1800's, the huge growth in the regions coal mining industry saw Middlesbrough become strategically important as the regions leading gateway to continental Europe. Today, Teesport is the United Kingdom's third largest port (tenth largest in Western Europe), handling over 50 million tonnes of domestic and international cargo every year. Despite its largely industrial heritage, today Middlesbrough is a vibrant and thriving commercial centre. The additional government led incentives for companies to invest in the Middlesbrough region are undoubtedly beginning to pay rich dividends, and according to the latest Inward Investment Guide to England, Middlesbrough has seen the UK's second highest growth rate for numbers of businesses within its boundaries. Entrepreneurs also see it as an ideal launch-pad to start their business, with Middlesbrough holding one of the highest business start-up rates in England. 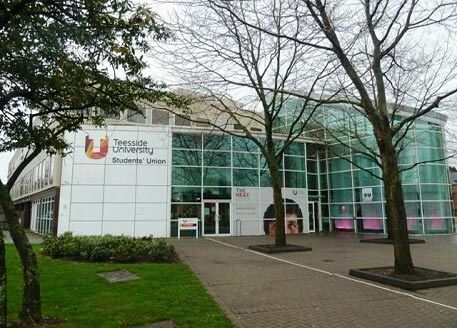 Situated in the heart of Middlesbrough city centre is Tesside University, which is attended by approximately 30,000 full and part time students. As with the majority of UK universities, Teeside University is today attracting an increasing number of overseas students, from destinations including China, Hong Kong, India and Singapore. At present, the university offers 724 on campus rooms, with a further 425 university managed private rooms off campus.